When it comes to sports facilities, pool decks, cart paths, water parks, etc., deteriorated concrete is not only unattractive, but it can also pose a huge safety issue for employees and guests. Instead of wasting time and money on tearing it out and replacing it, many club owners are finding soft, flexible rubber overlays to be a viable solution because they’re not only attractive on the surface, but their makeup possesses many qualities as well. Situation: The main entrance to this state-of-the-art Biotechnology Laboratory was very weathered and had damaged tiles, which not only posted potential safety risks to visitors and employees but also negatively impacted the appearance of the building. A full concrete tear-out and replacement would have been costly, time-consuming and distributive to their main entrance. Solution: Simon FX, a soft, flexible rubber resurfacing system, was determined to be the best solution for this area. 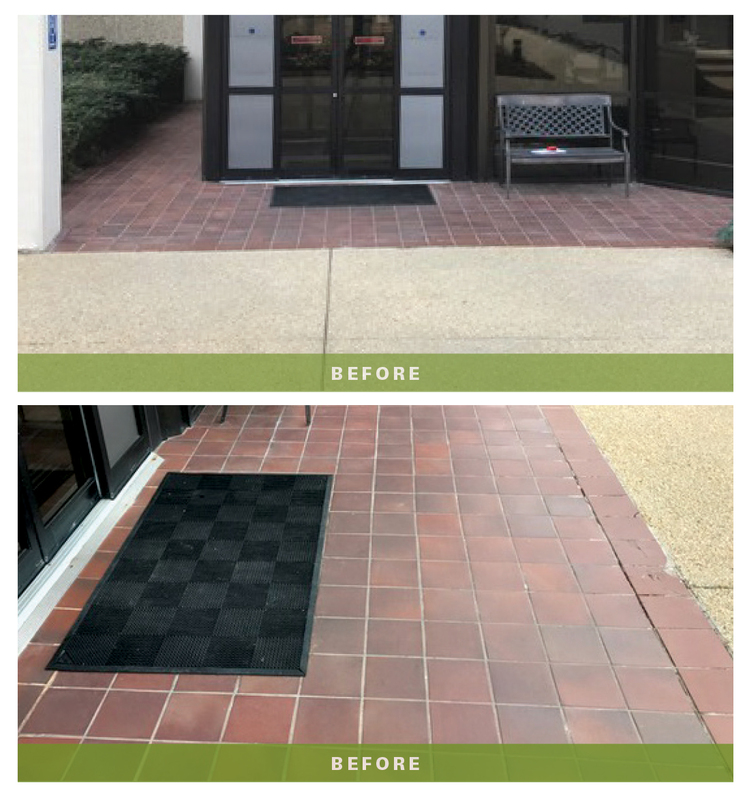 Simon Surfaces was able to install the system directly over the existing tile entryway without needing to tear out any of the existing surface. 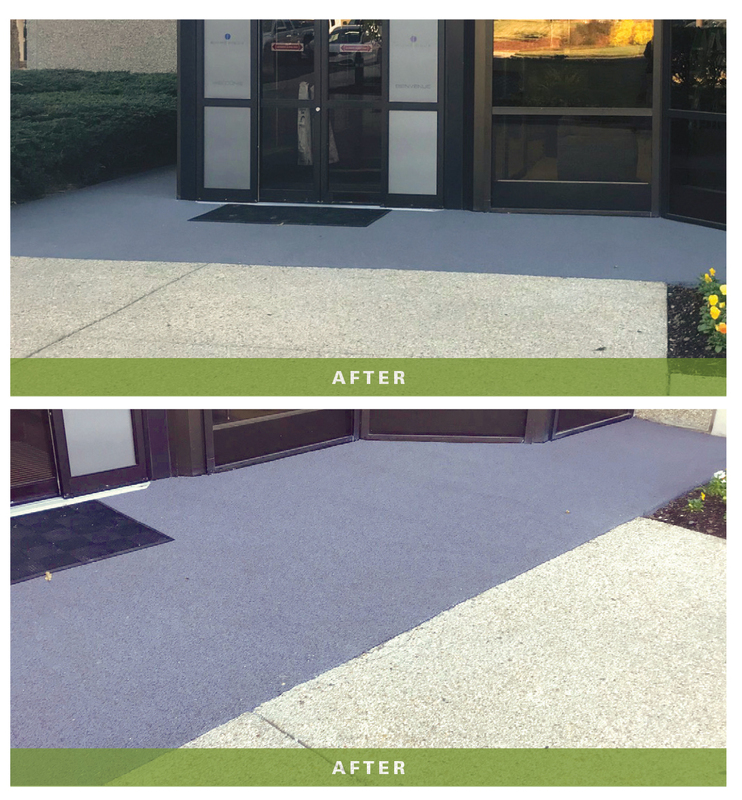 After hand-troweling the Simon FX system using high-grade rubber granules with a durable urethane binder at ½” thickness, the job was completed in one day with minimal disruption to traffic at the main entrance.